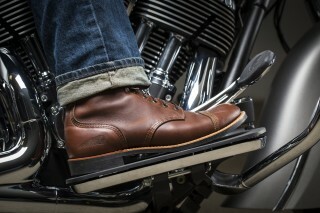 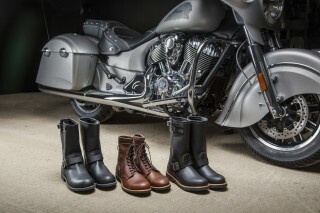 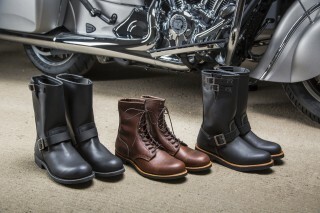 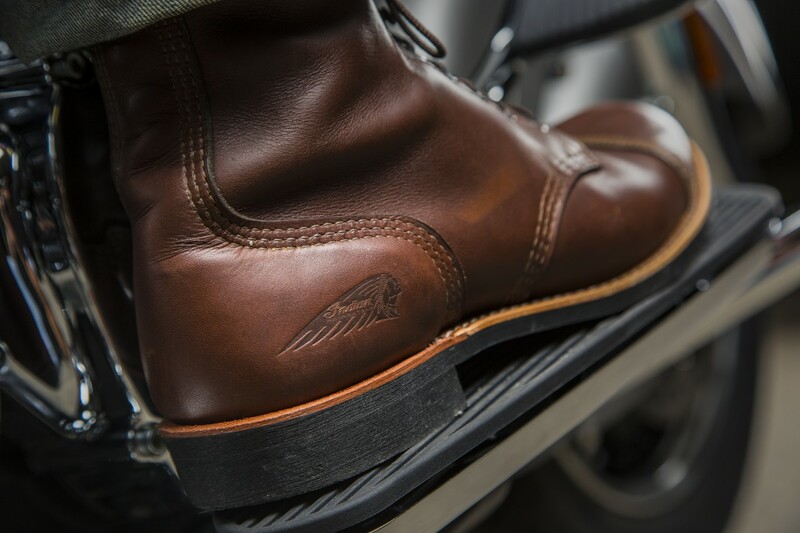 Indian Motorcycle, America’s first motorcycle company, today announced it has partnered with Red Wing Shoes to create a new limited-edition “Red Wing Shoes Collection” of handcrafted American motorcycle boots. 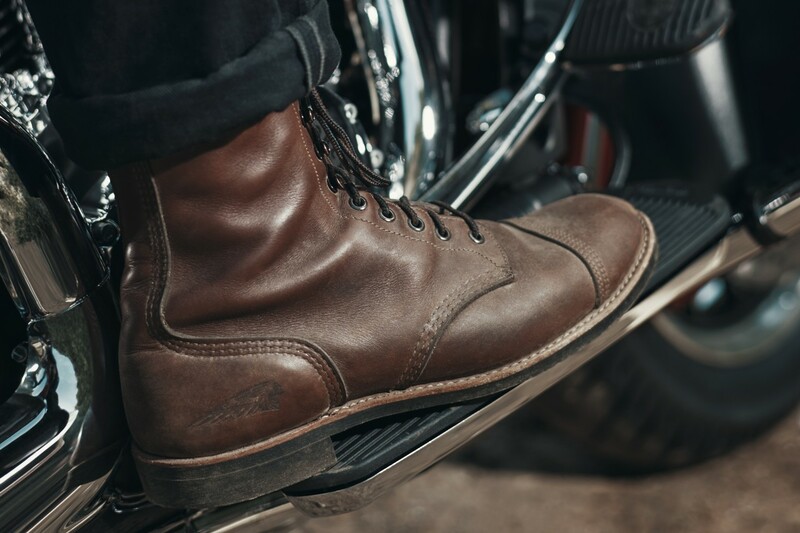 Indian Motorcycle was founded in 1901 and Red Wing Shoes was founded in 1905, so the two brands share a rich heritage of authenticity, handcrafted quality and products that embody the American spirit. Today both of the brands are also based in the great state of Minnesota, with only 80 miles separating their corporate headquarters. 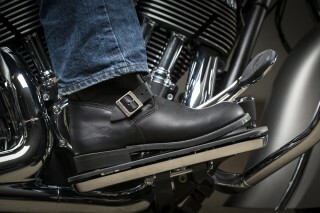 Named after the street in Springfield, Mass., where Indian Motorcycle began full-scale production in 1902, this boot is based on Red Wing Shoes’ classic Engineer style and has been modified for Indian Motorcycle riders. 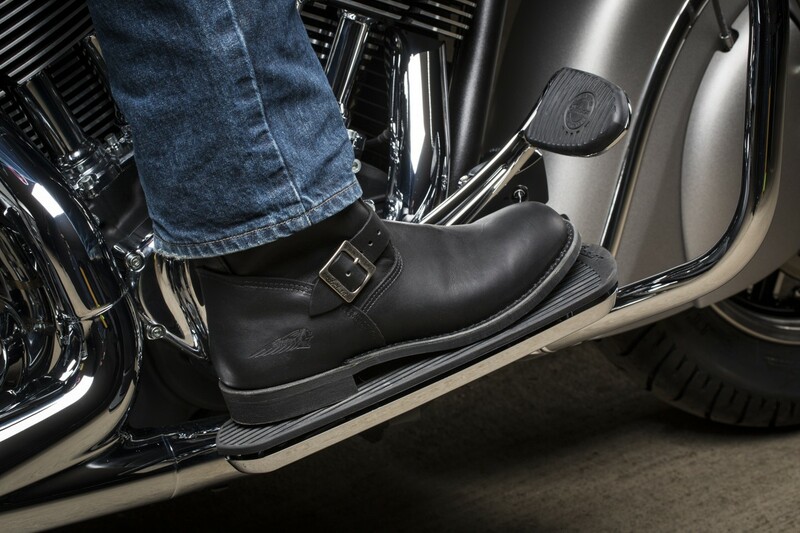 This 11-inch pull-on boot features plain toe styling, a Vibram® 430 sole for higher grip and abrasion resistance, and an instep strap for precise fitting. 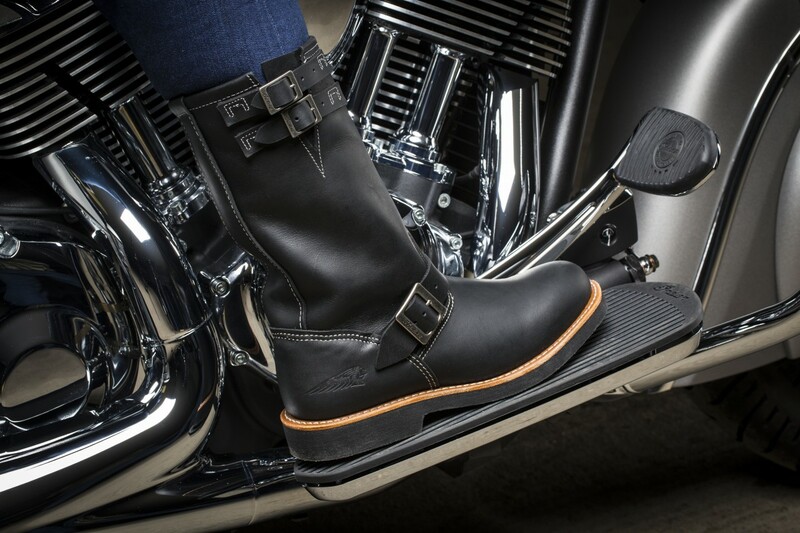 The premium Red Wing Shoes Black Harness leather, original Indian Motorcycle buckles, embossed logo and all black stitching deliver the ultimate in classic motorcycle styling. These boots feature Goodyear welt construction and puritan chain stitching. 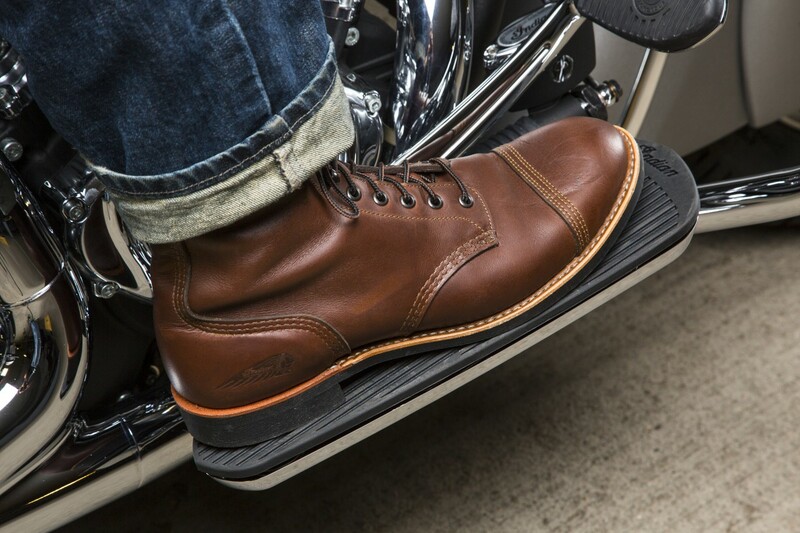 In homage to the dedicated men and women in Spirit Lake, Iowa, who build each and every Indian Motorcycle with a passion for quality and true American craftsmanship, this boot is modeled after Red Wing Shoes’ popular Iron Ranger. It’s an 8-inch boot developed to provide a stable fit and firm ankle protection, with a Vibram® 430 sole for superb grip and abrasion resistance and features a double layer leather toe cap for added protection. 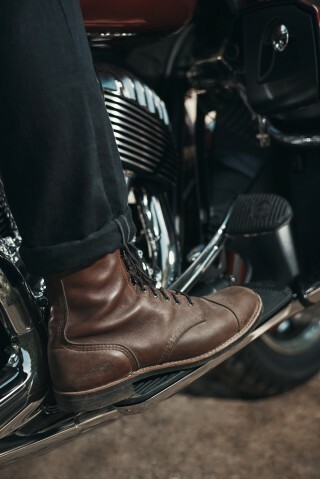 The premium Red Wing Shoes® Amber Portage leather, gunmetal eyelets and all-brown stitching make these boots a favourite for around-town styling, comfort and rugged support. These boots feature Goodyear welt construction and triple-stitched quality. 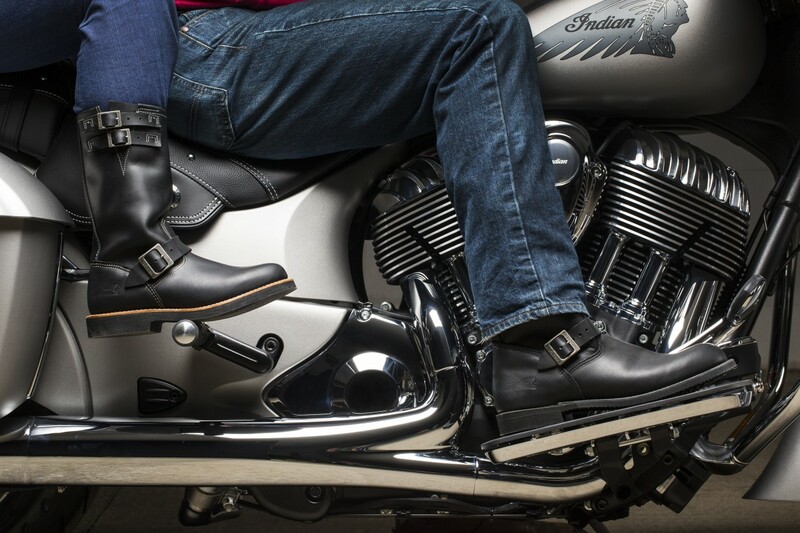 In honour of women riders around the world and Indian Motorcycle’s 100-year heritage of supporting them, this boot is named after Catherine Connelly of Owatonna, Minn., one of the brand’s earliest female riders and loyalists. 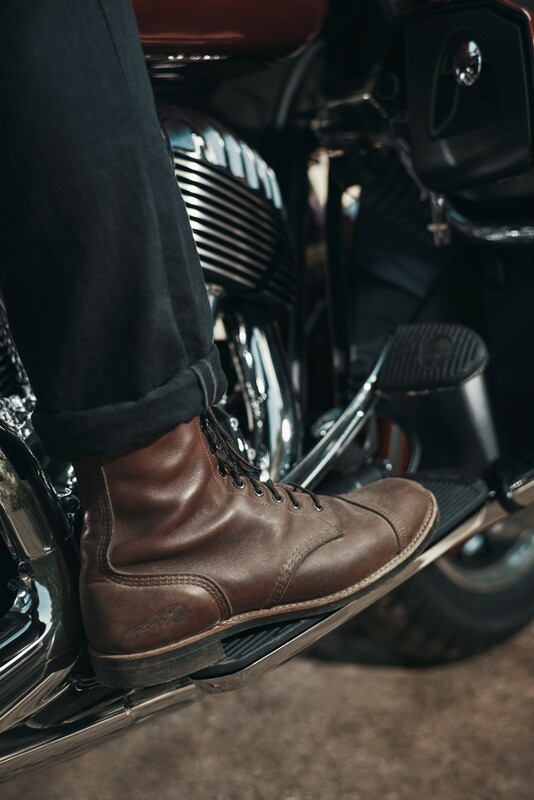 Even during the Depression, she and her husband made periodic trips to Springfield to buy new Indian Motorcycles and they would ride them back to Owatonna. This boot is based on Red Wing Shoes’ Engineer boot. This 11-inch pull-on boot features plain toe styling, Heeled Oil Resistant Cushion Crepe sole to provide grip and lighter weight, and an instep strap to adjust the fit. 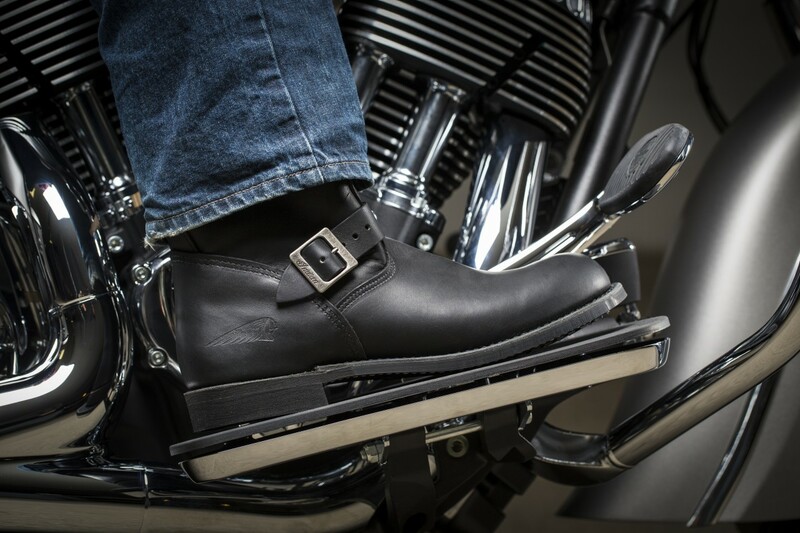 The premium Red Wing Shoes Black Harness leather, original Indian Motorcycle buckles, embossed logo and white stitching deliver the perfect fusion of fashion and function. 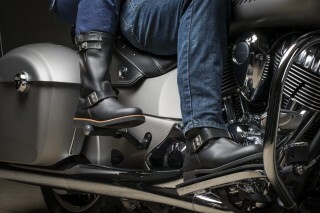 These boots feature Goodyear welt construction and puritan chain stitching. Red Wing Shoes is a registered trademark of Red Wing Shoe Company, Inc.
Vibram is a registered trademark of Vibram S.P.A. 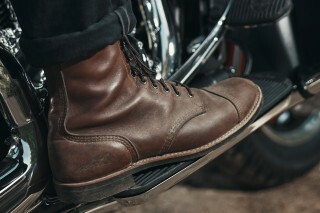 Corporation.